He is described by many as a “pop culture icon” and his eight-year stint as a featured WWF/WWE personality only scratches the surface as to why! After years of online discussion, debate, and speculation, finally, one release that completely encapsulates “The Legend of Virgil”. This two-disc, over-four-hour journey is the world according to Virgil… and according to those that hate him. 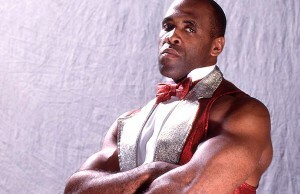 We’ll discuss Virgil’s World Wrestling Federation stint working with the likes of Ted DiBiase, Hulk Hogan, and Andre the Giant, his transition to WCW as a member of the New World Order, and all of the bizarre stories and legends surrounding him present day. From his appearances at conventions, flea markets, and even the New York subway, to the online phenomenon of “Lonely Virgil”, to fan stories, and the tall tales many claim Virgil to have told himself, we cover everything, and give Virgil (and his critics!) a chance to sound off on every topic! With bonus interviews, extra features, handy pop-up graphics to keep the facts straight, and so much more! Order now at www.Joe-Dombrowski.com and save 20% on the DVD! DVD & Digital versions officially go on sale July 29, 2015! “The Montreal Theory” – We all know about the infamous Montreal Screwjob, but what if Vince & Bret were secretly in on it together? “Finding Zach Gowen” – From losing his leg to cancer, to realizing his WWE dreams, to almost losing his life, Zach’s true life story is wrestling’s most captivating. “Refereeing 101” – Jimmy Korderas uses his 20+ years of experience as a WWE referee to conduct the first ever referee training seminar ever held in the United States! “AJ Styles – The Missing Matches” – An exclusive candid interview with AJ accompanies over 10 rare matches against CM Punk, Matt Hardy, Christian Cage, and many more! “PRIME Cuts” – A ten-volume series spotlighting some of independent wrestling’s best including Johnny Gargano, M-Dogg Matt Cross, Gregory Iron, Shiima Xion and Jimmy Jacobs! 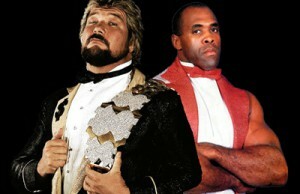 What does Ted DiBiase really think of Virgil? Last call for Virgil stories!